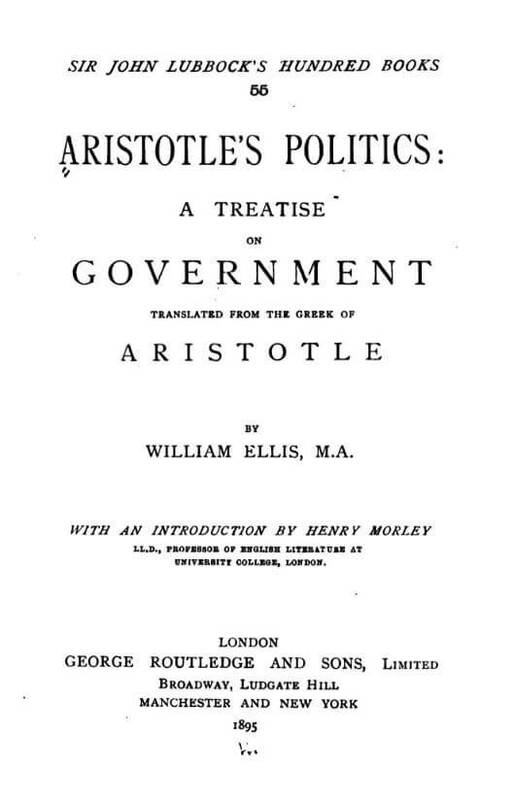 A Treatise on Government (1776) was translated by William Ellis, serving as an essential reference philosophy text for those interested in comparing various forms of government, and finding out more about Aristotle's social contract theories. They diverged from Plato's and would serve particularly useful for American revolutionaries in the 18th century. 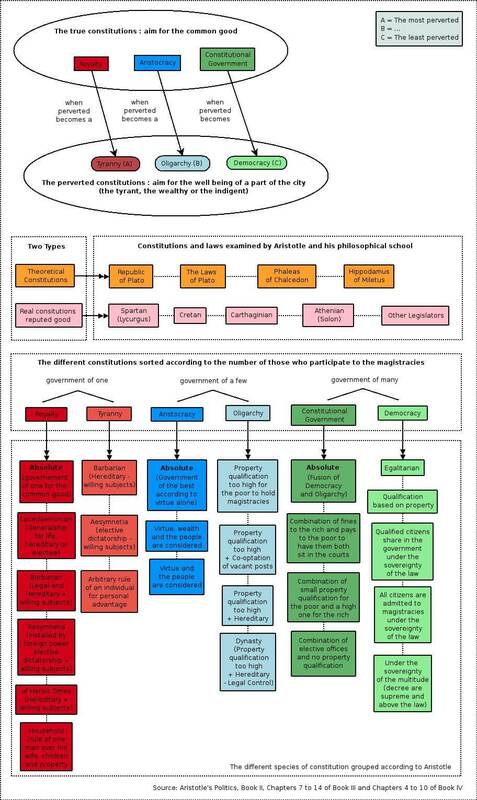 Aristotle did not distinguish the statesman from the moralist; he addresses the Ethics in the first part, which look forward to the Politics in the latter sections.